I love, love, love, a good holiday party, bean with friends and enjoy good food, is what we need specially for this Labor Day. And the #SundaySupper team just got what you need, a lot of different ideas for an awesome entertainment day. We have easy, delicious and all kinds of ideas for a tray full of sweet and savory appetizers. 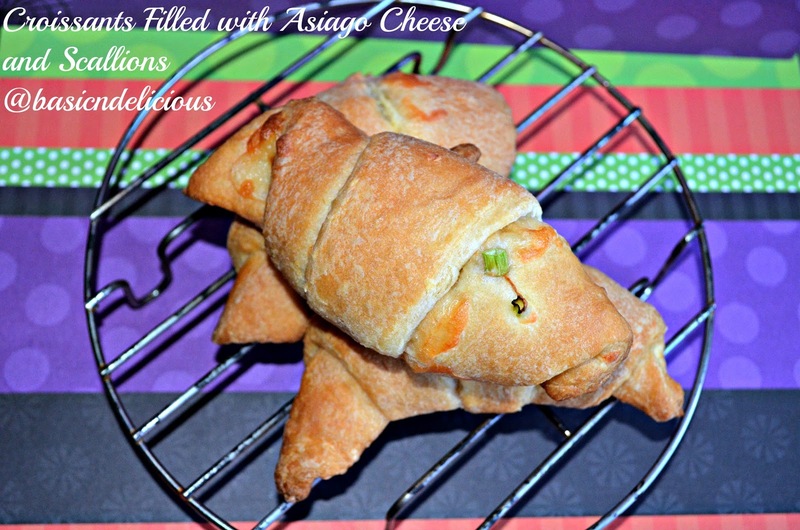 In this occasion I made for you, some cheese puff pastry sticks, easy and fast, and the best part you can buy the puff pastry, peeper and bake this stick in just 25 minutes. Try them in your next party or just make them for the pleasure to eat. Place the 2 sheets of puff pastry in a flour base table or cutting boar, and roll out just to even it. Mix together cheese, oregano and pepper. Brush melted butter in one side and sprinkle some of the cheese mixture, do the same in both sheets. You can brush melted butter in both sides of the puff pastry sheet, but is not necessary. Cut the puff pastry in 1″ strips and place in a baking sheet, if some of the cheese falls of just put it back. Bake for 20 minutes and let it cool completely before serving. This recipe makes 24 cheese sticks. And for more ideas don’t forget to check this amazing recipes. I must admit I love cheese in all its forms and this week the #SundaySupper team is pleasing all cheese lovers, because we bring different and delicious recipes with this product so liked by everyone. We have recipes for all tastes very easy to make. Cheese is a dairy product that must be present in our daily diet, loaded with calcium and protein, replaced on many occasions 8 ounces of milk, therefore it is very important to be consumed by children and adults. So delight yourself with this great variety of recipes we have for you and make the cheese an essential food in your kitchen. In a bowl mix the ricotta cheese, Parmesan cheese, dijon mustard, green onion, salt and pepper. Place on paper plates flour, beaten egg and Panko, take 3 tablespoons of the ricotta cheese mixture and form a ball, go through the flour, then the egg and finally the panko, place in a separate dish, continue until runs the ricotta mixture. Place croquettes on a plate and refrigerate for 20 minutes. Heat oil in a deep pot to 350 degrees, fry the croquettes for 4 minutes, 2 on each side or until well browned, you should watch for the entire cooking time. Place on paper towels to adsorb oil. Serve immediately, can be served with lettuce, balsamic vinegar and parmesan cheese. This recipe makes 10 croquettes. For more delicious recipes go to this links. Join the #SundaySupper conversation on twitter each Sunday. We tweet throughout the day and share recipes from all over the world. This week we will be sharing our love of Cheese, Cakes AND Cheesecakes! Our weekly chat starts at 4:00 pm PT! Join us Around the Family Table this Sunday at 4 pm PT and share your favorite Cheese, Cake and Cheesecake Recipes with us! I start telling that I love cheese in any shape and size, this is one of the main reasons why I made ​​this recipe. You will notice that this recipe is not ligth, but I firmly believe that there is no reason to refuse to eat something we like. And that does not mean I’m going to eat 40 cookies at once, not at all, it just means that 2 or 3 is not bad. Now it is also very important to know that these cookies are great for a snack, party or just to accompany your tea or coffee when you want it. They are delicious, the cheese aroma will fill your kitchen when baking is amazing and you can not resist eating one freshly cooked, but do not remember they are very hot. Definitely these will be your favorite cookies from now on and this recipe is so easy that you do not buy packaged cookies anymore. 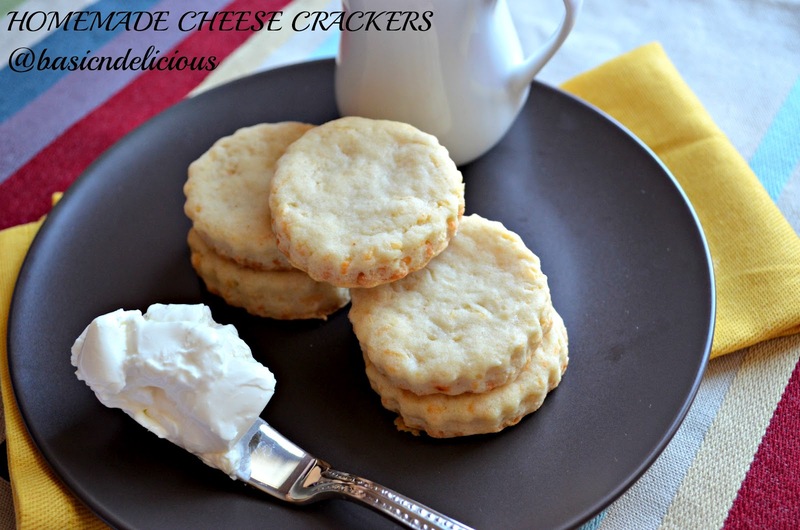 I encourage you to make these cheese crackers, irresistible not to. Cream butter, egg, buttermilk, cheese and pinch of salt for 5 minutes. Add flour gradually and paprika, stir for 5 minutes more. Place flour on a work table, roll the dough and use a small cookie cutter to cut. Place the crackers on a tray and bake for 22 minutes, remove from oven and place on wire rack to cool completely. This recipe makes 30 crackers. 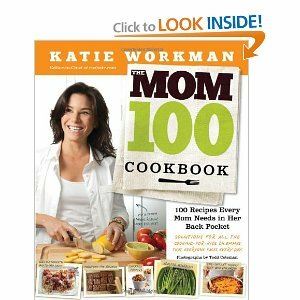 This week we are honored to celebrate again #SundaySupper with Katie Workman100 cookbook. Among the many recipes the you can make with this book, this week we are focused on quesadillas and pizzas, because who does not like to enjoy a dish so easy and delicious as this from time to time. So this week we shared with you a lot of ideas to enjoy with your family. I am sharing this delicious recipe is very easy to make and suitable for a picnic, or a long trip, easy to carry and very healthy, served with a simple tomato salad, full of flavor. Beans are a major source of protein and calcium, essential in the children, and if your child does not like beans will love this combination. Join us this Sunday full of delicious recipes and ideas for any day of the week. Remember that enjoying a meal around the family table is one of the most important moments of the day. Heat beans and mash slightly with a fork. Add 2 tablespoons of beans in the middle of the tortilla and sprinkle a tablespoon of cheese, fold the other half of tortilla. Heat a skillet and spray with cooking spray, place the quesadilla and cook until cheese melts and tortilla is golden brown on both sides, about 3 minutes on each side. Place tomatoes, cucumber, cilantro, lemon juice, salt and pepper, stir well and refrigerate for at least 20 minutes. 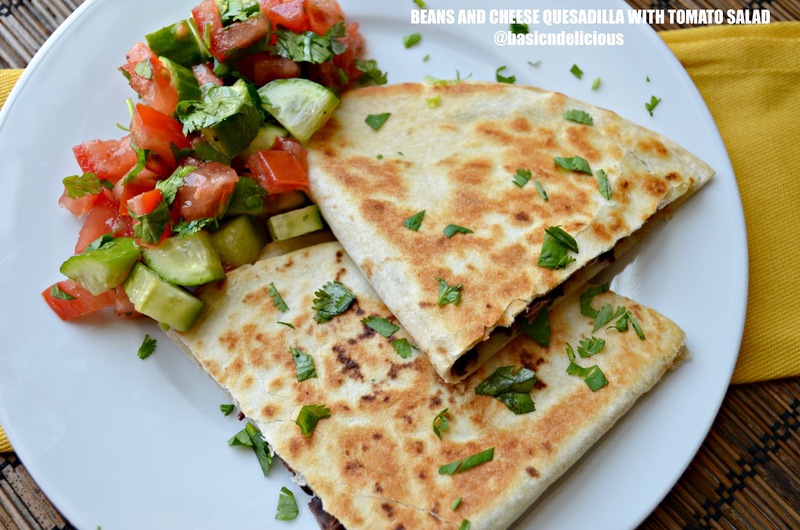 Cut the quesadilla in half and serve with tomato salad. This recipe makes 8 quesadillas. 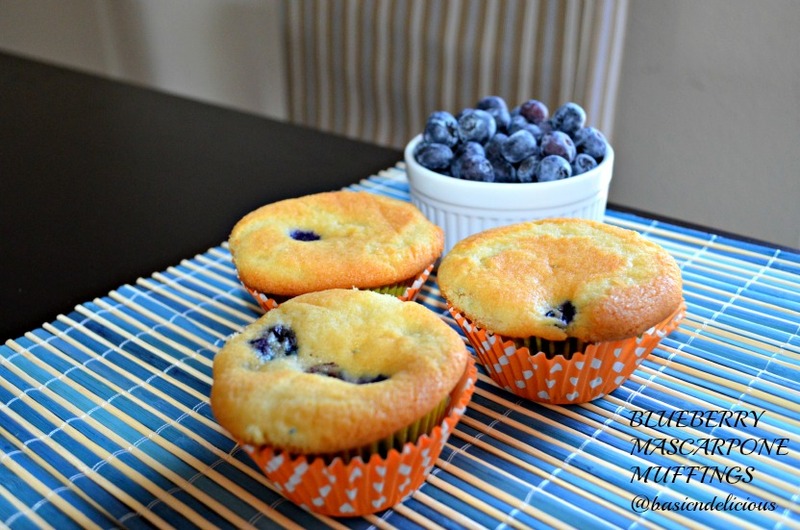 For more delicious ideas and recipes stop by the blogs from the #SundaySupper family. We will be sharing great family recipes all afternoon and want you to share yours with us! #SundaySupper starts every week at 3:00pm EST by showcasing fabulous recipes. Follow us on twitter by using hashtag #Sundaysupper or using Tweetchat. We love to feature your recipes on our #sundaysupper pinterest board and share them with all our followers.